Tekeen is a new premium pre-mixed cocktail that you can drink straight out of the bottle over ice. I can attest that it’s pretty good that way. We’re not talking about some crappy wine cooler here. It uses actual fruit, has actual flavor, and is sweetened with agave. 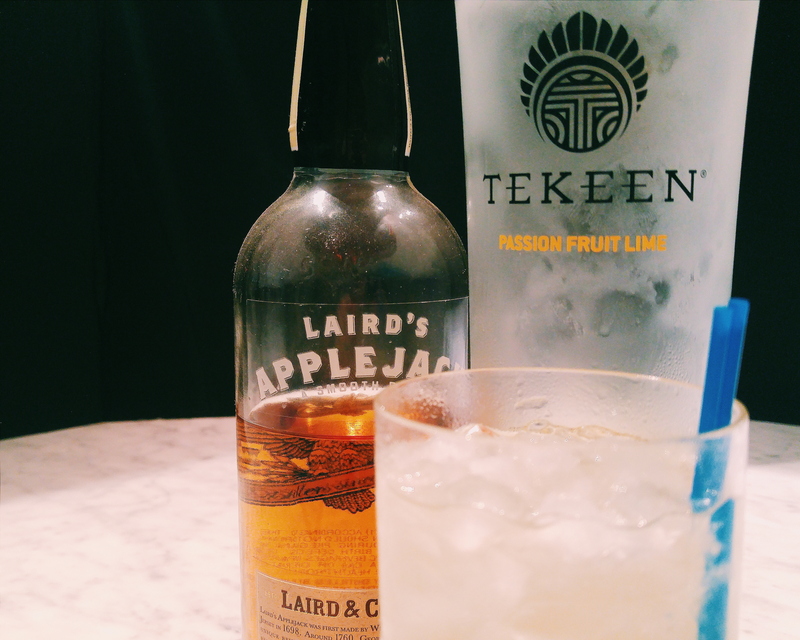 If you generally don’t like bottled mixers (like me) or like pre-mixed cocktails (like me, usually), then you may want to try Tekeen. It’s changed my mind. Something in a pre-mixed bottle can actually be pretty good. But I’m here to mix with it. shake well with ice and strain into a tall glass over fresh ice. 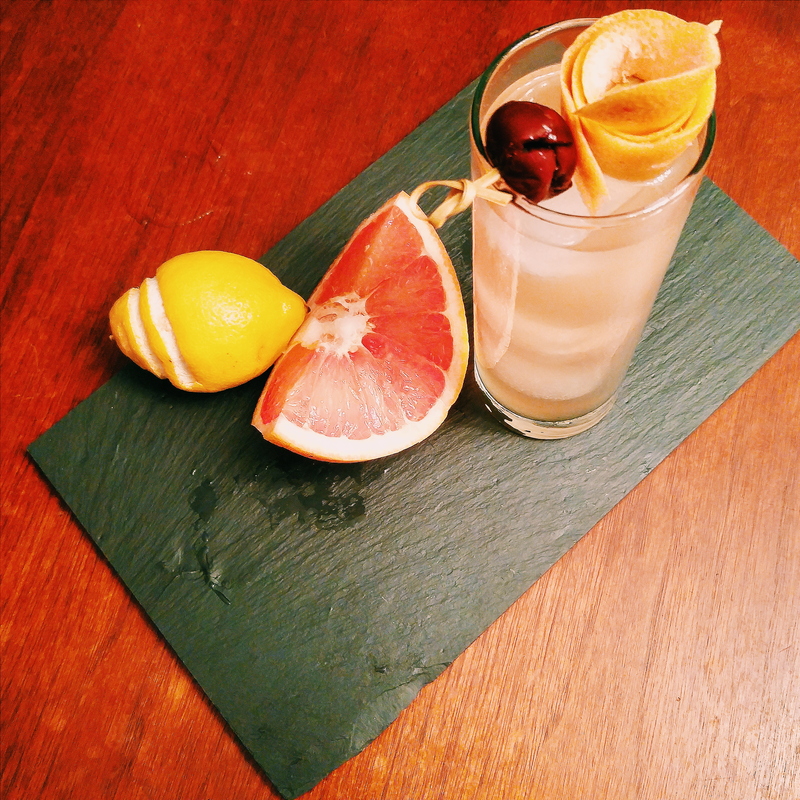 Garnish with a DIY bourbon and maraschino cherry and a large swath of grapefruit peel. I never use cachaca anymore, since I don’t usually drink Capirinhas, but something about the tropical flavor of the Tekeen Passion Fruit made me reach for it immediately. The grapefruit is the obvious choice, too. The Amerikeen Cocktail: 1 1/2 oz Tekeen Passion Fruit, 1 1/2 oz Applejack, 1/2 oz lemon juice, 1/4 oz cinnamon syrup, top with ginger beer. shake well, and strain into a tall glass with fresh ice. Top with a few ounces of ginger beer. This one is fruity and spicy in a way that makes me happy. And with Laird’s Applejack, it seems like Americana. Hence, the Amerikeen cocktail. Tekeen is available all over Texas (it’s made in this great state, in Dripping Springs! ), so you shouldn’t have trouble finding a bottle. Check their website, which has a handy “Find It” feature if you want to make sure your local Spec’s or HEB has it before you go.